Sidney Sime was born in Manchester in 1867. The family moved to Liverpool and he worked in a coalmine as a child and later found employment as a draper, barber and signwriter. Eventually Sime entered the Liverpool School of Art. By the 1890s Sime was contributing to numerous periodicals including Daily Graphic, The Illustrated London News, The Sketch, The Tatler, The Pall Mall Gazette, The Strand Magazine and Punch Magazine. He also became editor of Eureka and co-editor of The Idler. 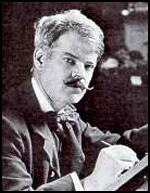 Sime also worked for William Randolph Hearst who described him as the "greatest living imaginative artist". Mark Bryant has argued: "His highly inventive and often disturbing fantasy drawings owe something in style to Beardsley and William Blake." 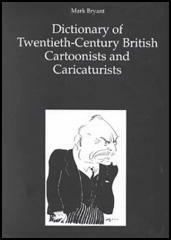 The cartoonist, David Low, was another admirer of his work who described him as "a beautifully imaginative artist with a mordant fancy that sometimes overlaid his observation of character, but whose studies of people nevertheless are full of true and well-balanced caricature." In 1898 Sime was left £14,000 by a wealthy uncle. This gave him a certain amount of artistic freedom. 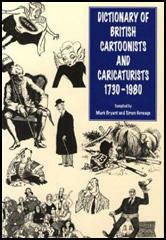 He withdrew to the village of Worplesdon in Surrey where he worked on book illustrations. His books include The Gods of Pegana (1905), Time and the Gods (1906), The Sword of Welleran (1908), The Ghosts Pirates (1909), A Dreamer's Tale (1910), Tales of Wonder (1916) and The Bogey Beasts (1923). Sidney Sime died at his home on 22nd May 1941. A collection of his work is preserved in a small museum at Worplesdon.